It is that time of year again. The holidays are long over and it feels like winter will never end. March seems to be the most difficult of winter months in Chicago, the weather can be 60° or -5° and there is still potential for a blizzard. 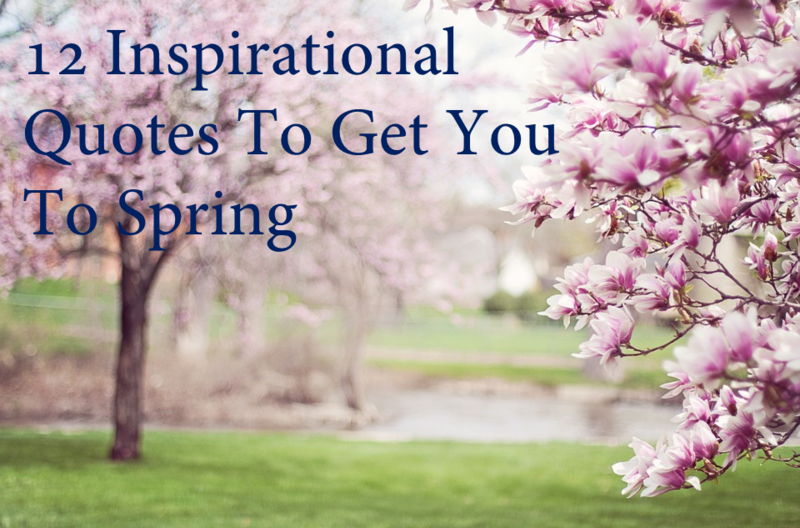 So to help us all get through these last few tumultuous winter weeks before our spring revelry, we collected some of our favorite inspirational quotes. Advanced Resources is focused on delivering a quality experience for both our clients and candidates. We take the time to understand our clients’ needs and our candidates’ goals, which is how we've helped thousands of professionals with their careers and thousands of companies in their quest to obtain top talent. With Advanced Resources, it’s personal. Are you ready for a staffing experience unlike any other? Visitwww.advancedresources.com to learn more.